Renaming and rebranding to focus on core business strengths. Print artwork including advertising, banners, flyers and signage. Mobile-first WordPress website, hosting, plus Google email system. Copywriting for print, web, advertising and social media. The LS Jewellery store sat in a busy Edinburgh street, but felt invisible to the public. Their reputation kept them busy performing repairs for other local jewellers but regular customers weren’t coming through the front door. They decided that a new website was a priority, but had just a vague hope that it would improve footfall. It was a good idea, but it clearly needed deeper thought and definition. Fortunately we begin every project with a thorough Discovery process. Doing Discovery properly means delving deep. Why are we running this project? What do we ultimately want to achieve? How do we measure that? Where is your organisation heading? Where did it begin? Who are your competitors? What are the major problems you need to solve? The Discovery process can and should be challenging at times, but done sensitively and patiently, it leads us to absolute clarity. Branding embraces a business’s core values, then physically represents them in an instinctive and natural feeling way. At the very core of this Discovery process, we found that LS Jewellery’s issue was product differentiation. They looked like any other jeweller, and simply weren’t telling people what was so special about themselves. 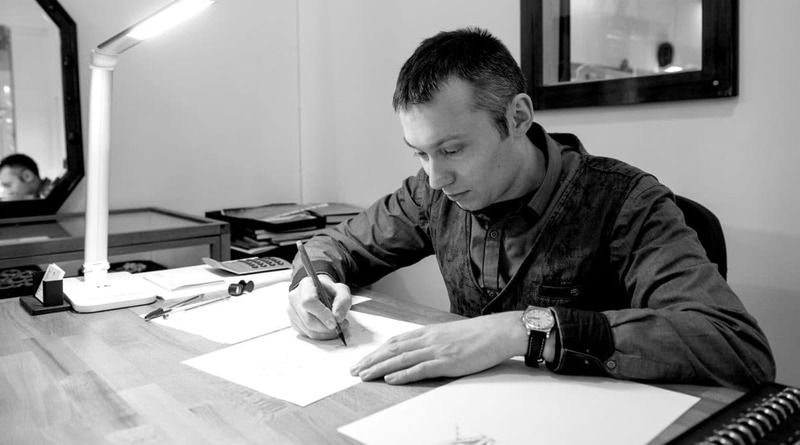 The quality of LS Jewellery’s work was renowned within local industry, but repairing for trade rather than public customers meant missing profits: Multiple times the income, for the exact same work. Together we appraised the costs and profits involved in LS Jewellery stepping back their jewellery sales, and focusing on becoming a repair service provider. Although the proposed change was unexpected and large, it made clear financial sense to the business owner. So we began the rebrand. Done well, branding embraces a business’s core values, then physically represents them in an instinctive and natural feeling way. Quality is more important than value. Elegance and timelessness, not flash and bling. Embracing these values lent an established and dependable feel to what was essentially a new brand. Considering the financial and sentimental value of much of the jewellery that we wanted to attract, these positive feelings were essential. 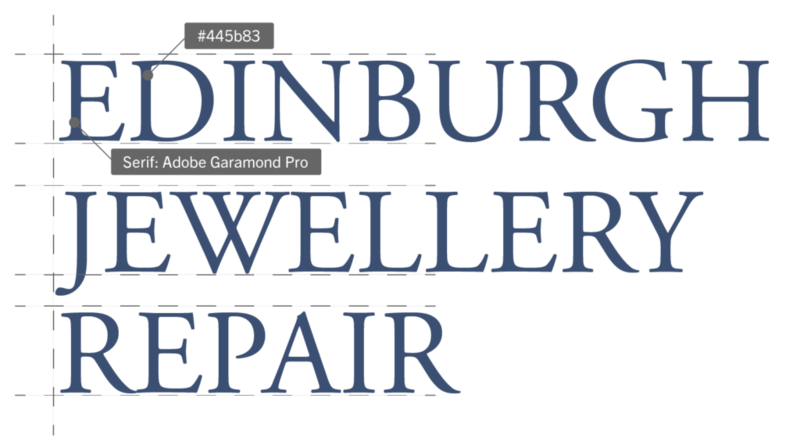 We proposed a new business name ‘Edinburgh Jewellery Repair’, making the core services entirely clear, and taking advantage of the city of Edinburgh’s glowing reputation. The jewellers were delighted. We then began developing our styles, name and understanding of the business into a full suite of print design, and a wonderfully clean website layout. The website, new signage, social media, email system, magazine advertising, flyers, business cards and more were all launched simultaneously. Edinburgh Jewellery Repair was now in business, but would more customers come through the door? Within three months of launching the new brand, the team had to take on an additional person front-of-house. Within four months they needed a further jeweller. It was an unquestionable, and entirely earned, success. We’re ecstatic about our work with Edinburgh Jewellery Repair. For Lumpy Lemon, the opportunity to partner with people willing to analyse their work deeply, then embrace exciting change, is very hard to resist. And the results speak for themselves. We’d love to hear your own ideas, and talk about developing your next project. Please get in touch below.